Lily 9's Story . . .
What’s more perfect and adorable than one Springer puppy? 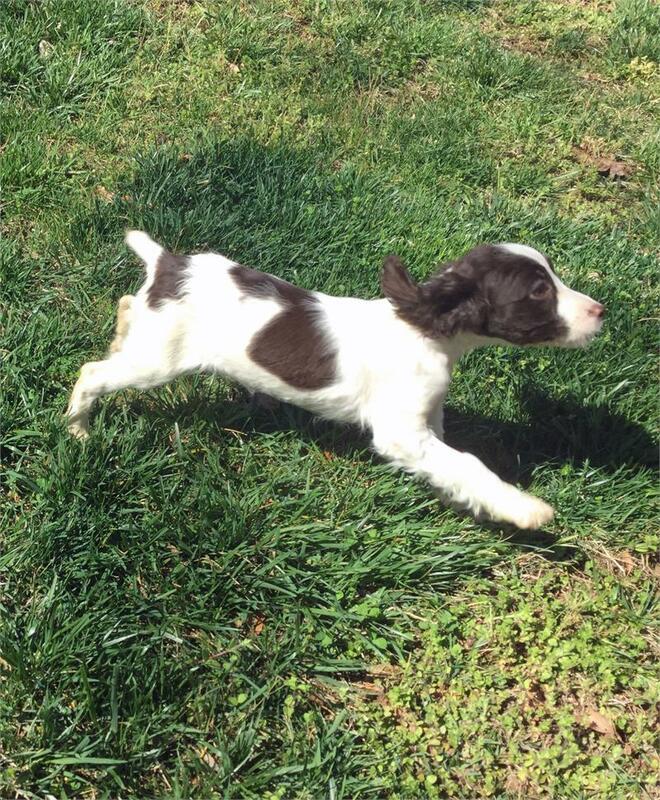 A whole litter of Springer puppies! This sweet litter came into MAESSR’s care when a divorcing West Virginia couple found they had Springers arriving. Not needing more stress during this difficult emotional time, the owners relinquished their pups to MAESSR, knowing wonderful homes would be found for each. 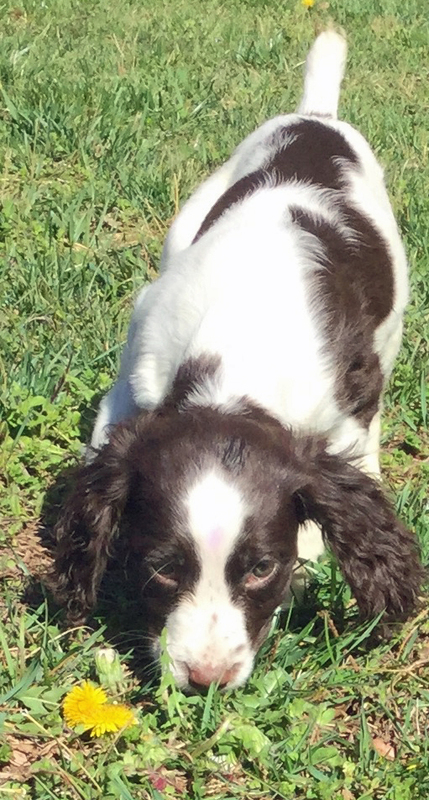 Lily is full of puppy sweetness and play. She and her siblings are learning all about the outside world, exploring their fenced yard under the close observation of their foster family. Playing and wrestling and chewing make up a big part of Lily’s day and make her ready for another popular activity --eating followed by some sound sleep! Loving and petting are lavished on Lily by her foster family. They are making her a well-socialized puppy and getting her used to having her paws, ears, and mouth handled. She hasn’t mastered housetraining yet, but, hey, she’s just a little girl. She is taken outside regularly on a good puppy training schedule and gets lots of praise when she eliminates outdoors. Please note that MAESSR only places puppies in homes that are committed to training and bonding with the pup in obedience classes. Puppies require a lot of care, attention, and patience, and they do chew on things! The decision to get a puppy and raise it to be a healthy, happy, and well-adjusted dog is a serious commitment. To reinforce this commitment, MAESSR requires all adopters of dogs one year old and younger to enroll their puppy in obedience classes within 60 days of adoption. Smart little Lily will be a star pupil in her class! 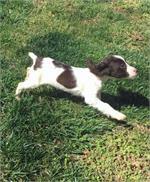 Are you ready to assume this huge commitment of raising Lily to be the best adult Springer that she can be? 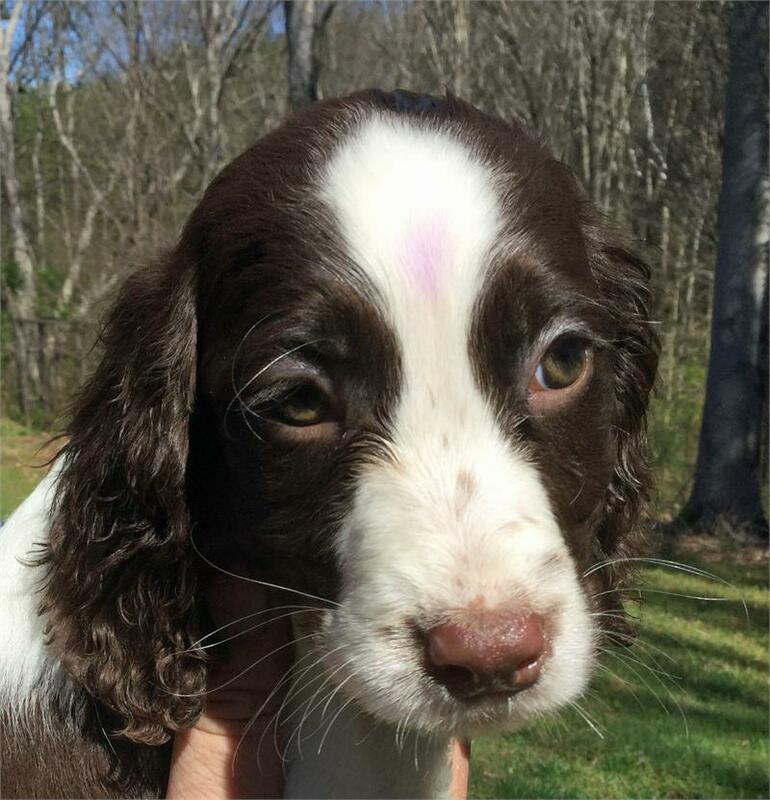 Your life will be enriched tremendously by bringing this little girl into your family! Ah, just smell that puppy breath!